Buying an e-cig isn’t as simple as it used to be—a good one anyway. A few years ago, e-cig options were very limited. But as they have grown in popularity, the sheer amount of choices that are now available can be overwhelming. There are scores of brands to pick from, different model types to consider and deals to mull over. Fortunately, through your research or a friend’s recommendation, you’ve come to the right place. VaporFi sells the best quality, most advanced e-cig technology on the market—with unbeatable customer service to boot! On top of supplying our customers with superior e-cig products, VaporFi is dedicated to providing e-cig users and the general public with the truth about smokeless cigarettes and our products. Be sure to check out our Learning Center, as well as our blog, to stay up-to-date with the latest industry news and popular e-cig topics. What makes VaporFi different from other e-cig brands? For starters, it is our dedication to providing the perfect smokeless experience through our attention to detail, high-quality parts and ingredients, customizability of our products and unrivaled customer service. All of our advanced e-cig models are carefully designed with the knowledgeable user in mind, and deliver a groundbreaking experience to users of all levels. Here at VaporFi, we love our customers and they love us back! But don’t just take our word for it - see what our customers have to say about us. As a VaporFi customer, you will be automatically enrolled in our e-cig Rewards Program, allowing you to accumulate points for every $1 spent. When you earn 200 points (or spend $200), we’ll give you a $20 credit towards any VaporFi product! You can also earn points by engaging with us on social media, referring a friend, signing up for our Home Delivery Program, and even on your birthday! In other words, loyalty pays big time when you buy e-cig supplies at VaporFi. From all of us here at VaporFi, welcome to our site. 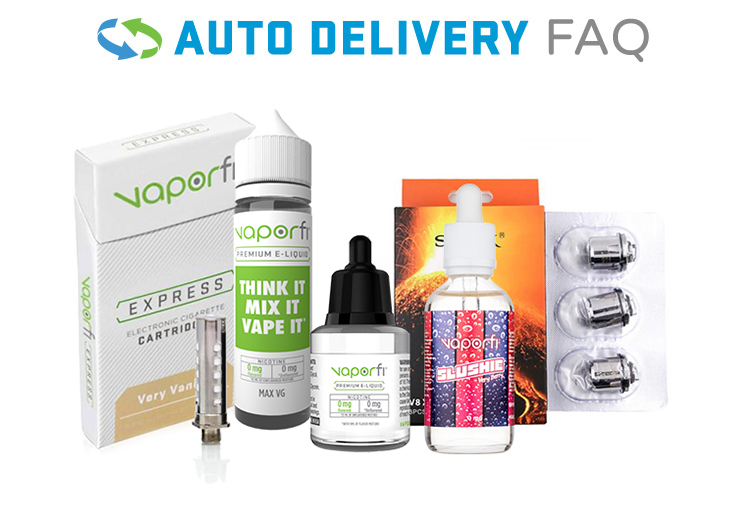 When you are ready, we invite you to check out our selection of superior e-cig starter kits and custom e-liquids to find out for yourself what the VaporFi advantage is all about. Check to see if there’s a VaporFi e-cig store near you, or feel free to contact us directly with any additional questions.